Being a good cook is about more than the recipes -- you need the right equipment, too. 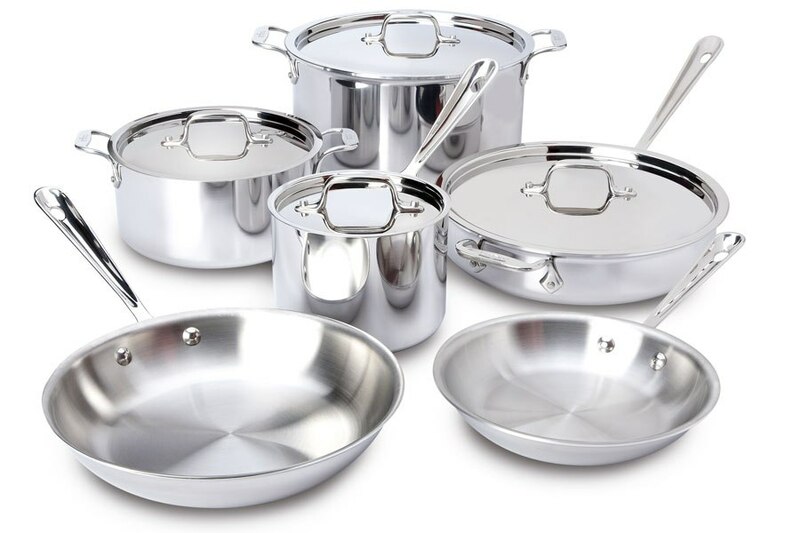 Use our cookware guide to decide which pots and pans will work best for you. Copper is handsome and heats quickly and evenly. But it's like a top-of-the-line sports car: luxurious, costly, sometimes hard to handle, and high maintenance. Frequent polishing is required to keep it looking good, and regular use will eventually cause the tin lining (which protects against acidic foods) to wear through, leaving you susceptible to copper poisoning. To avoid that, the worn pan will have to be re-tinned by a craftsman. 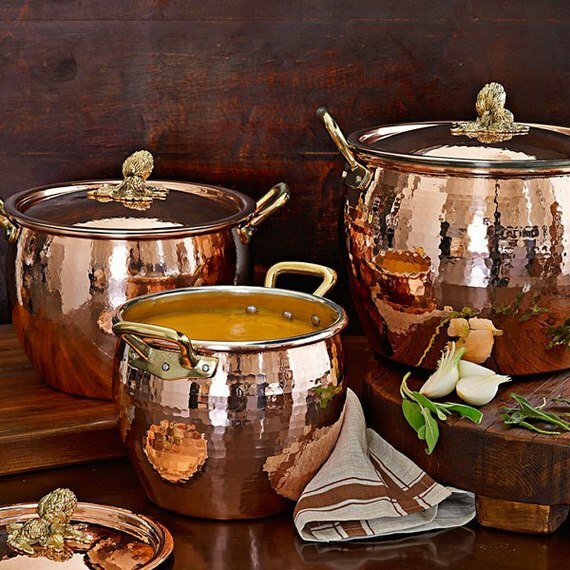 Ruffoni Artichoke-Handled stockpots, hand-hammered copper lined in durable and nonreactive tin, with riveted brass handles. Available exclusively through Williams-Sonoma in sizes of 4.75 qt., 7.5 qt., and 12.75 qt., $325-$425. williams-sonoma.com, 877-812-6235. Clad stainless steel is a metal sandwich of sorts: a layer of heat-conducting copper or aluminum coated with stainless steel. It's one of the easiest kinds of cookware to care for--many manufacturers now make dishwasher-safe pieces. All-Clad stainless-steel ten-piece cookware set, $700. all-clad.com, 800-255-2523. Cast iron warms slowly but distributes heat evenly, whether the cookware is enameled or not. Plus, cast iron lasts forever. But keep in mind that it's quite heavy and that nonenamaled pieces need to be regularly "seasoned" with cooking oil to keep rust at bay and provide a nonstick cooking surface. Lodge Cast Iron 12"-dia. 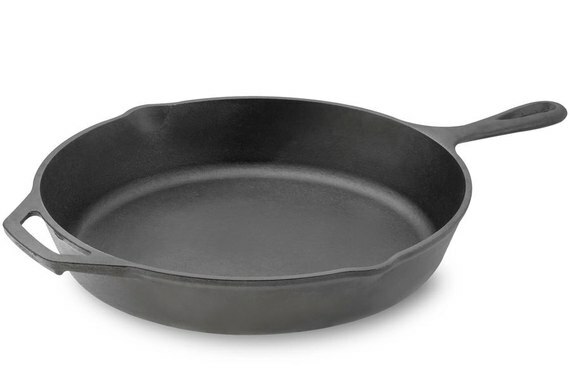 preseasoned skillet, available through Williams-Sonoma, $36. williams-sonoma.com, 877-812-6235. Aluminum heats well and resists corrosion; it's also lightweight. But make sure you buy pots and pans with a protective anodized coating. Uncoated aluminum reacts with acidic ingredients, such as tomatoes and peppers, which can pit the metal and leach aluminum into your food. 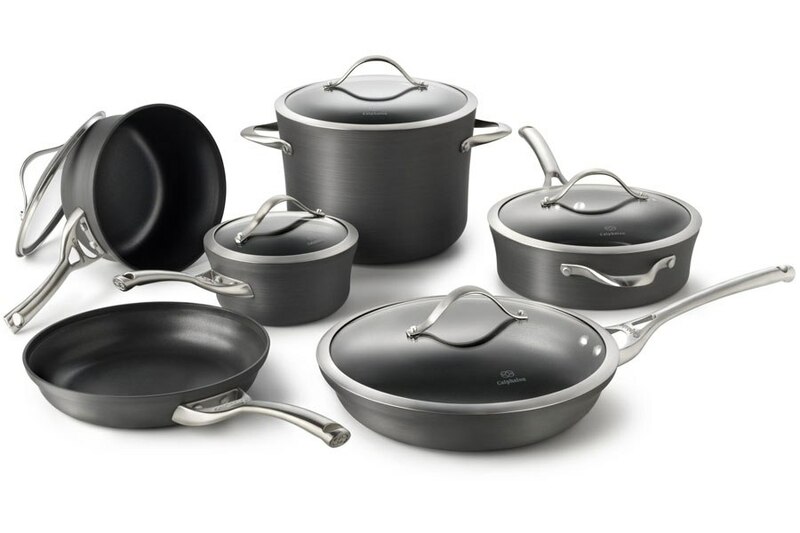 Calphalon Contemporary hard-anodized nonstick-aluminum 11-piece cookware set, dishwasher safe and comes with a lifetime warranty, $400. calphalon.com, 888-626-9112. Nonstick pans are easy to clean (that's why they were invented) but can be damaged when used over too-high heat or when cleaned with abrasives. Overheating also releases toxins. And avoid cooking with metal utensils, which can scratch. 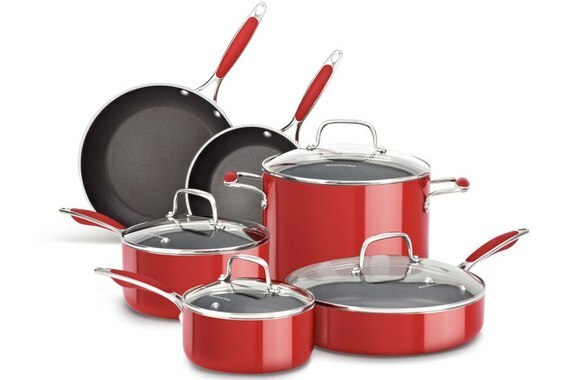 Kitchenaid nonstick-aluminum ten-piece set, offered in red (shown) and black, $230. kitchenaid.com, 800-541-6390. 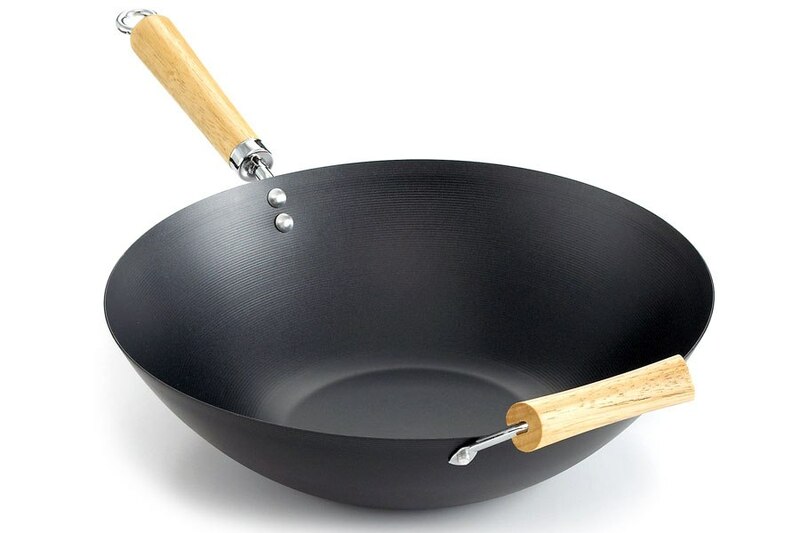 Carbon steel--often used for woks--heats very quickly, but, like cast iron, it needs to be seasoned to reduce sticking. Imusa 14" nonstick-carbon-steel wok, available through Macy's, $40. macys.com, 800-289-6229. 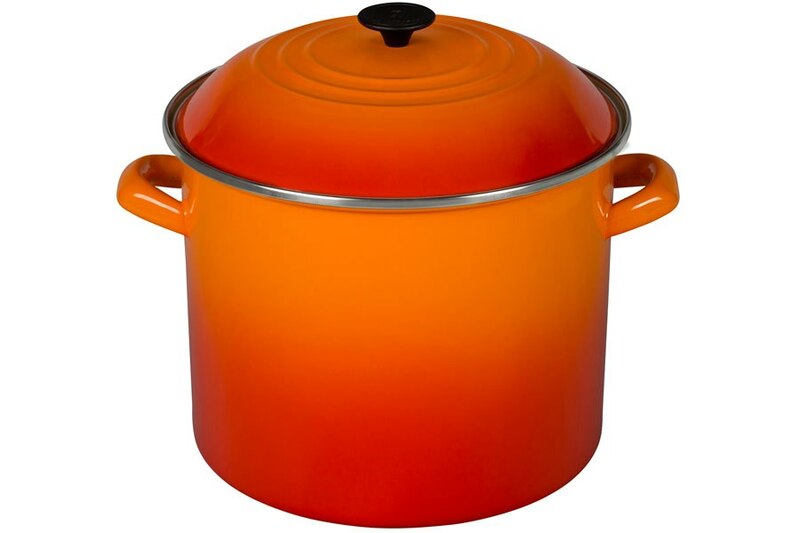 Though not ovenproof, enameled steel is lighter than enameled cast iron, easy to clean, resistant to sticking, and it heats quickly and evenly.